Honda quality proven off road race experiance from honda . I'm thrilled to see a Japanese manufacturer make a 450 dualsport, but at 289 lbs (wet, admittedly) and just $600 less than a KTM 500 I wonder how much business they'll be taking from the Austrians. I used the word spank and ktm came up.. I think you mean take business away from China . 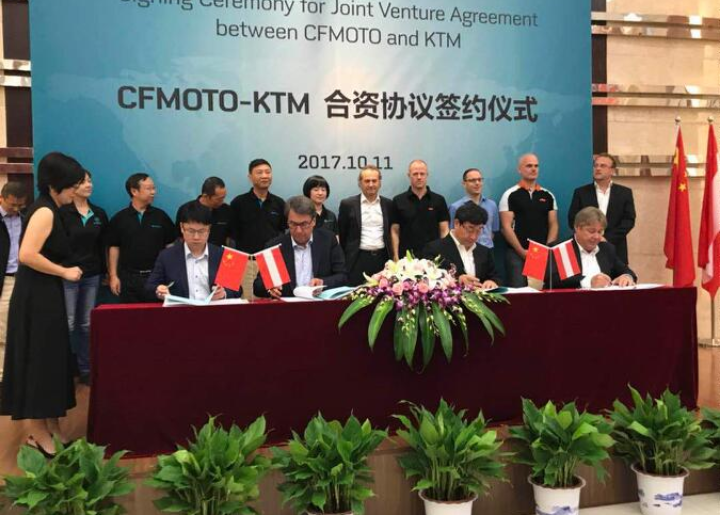 Cf moto, Chinas biggest reproduction plant has paired up with ktm to mass produce the ktms before being shipped to USA. As long as it crosses the finish line first . That's certainly my hope, or maybe we'll see that 6-speed, fuel-injected DRZ 400. Someone buy one and get it setup proper. Be interesting to see what it takes to make it work good. Cant wait to drag race one up a sand dune against my 500 EXC. And my 15 WR 450. Honda has made some fast bikes in the past. Ask 350 Thumper about his 450R death trap. Maybe they got it right. A plated version of the WR450 that gets better fuel economy and still performs the same would be cool. As far as the Honda. It's great to see them step into the market. That's something we've all wanted to see for a long time. I would have wished it was priced a bit less than the KTM. $9500 range would have made it a bit enticing. But if they want to price close to KTM, I'm going KTM all day long in the dual sport market. maybe it will have Honda reliablility and that would be nice, Im 50-50 on ktms lasting, my 1190 took a ---- at 800 miles but my 690 is awesome, I will buy one of these as soon as I see one. I would be really tempted to get one of these but yeah if it's going to be that close in price I'd go KTM as well. If it's going to be anything like the 250L emission controls and DOT safety wise all you'd have to do is ditch the stock muffler, install a lithium battery and swap the taillight for something slimmer and you could easily cut 10-15lbs. Was pounding my 12 yr old CRF 450R hard, till it pounded me.then sold it for more than i bought it for. 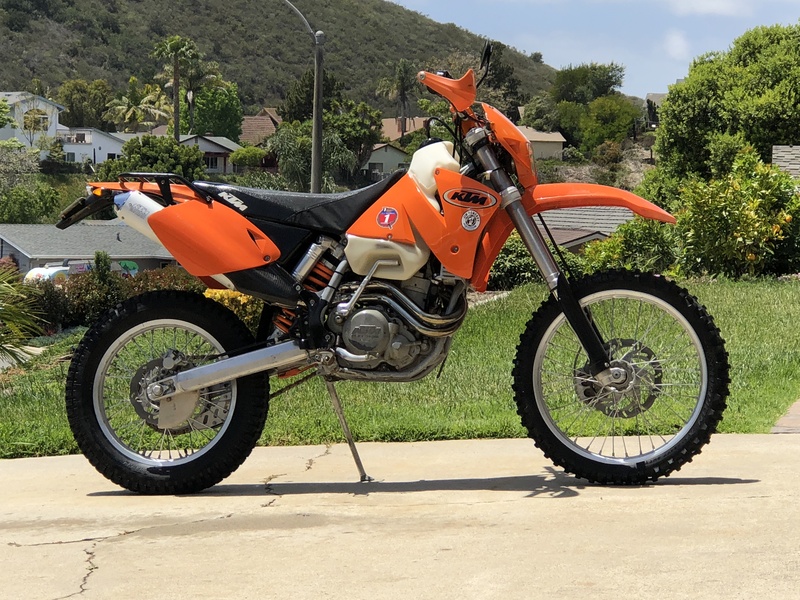 Is anyone riding a 12 yr old ktm? Just kidding everyone knows theres no such thing. I wanted the new bike to be a 650r with inverted forks, e start , injected, with sick black wheels and anodized hubs. Doesnt matter i cant afford a 100000 bike. 04 racing four stroke with 12,000 miles?? 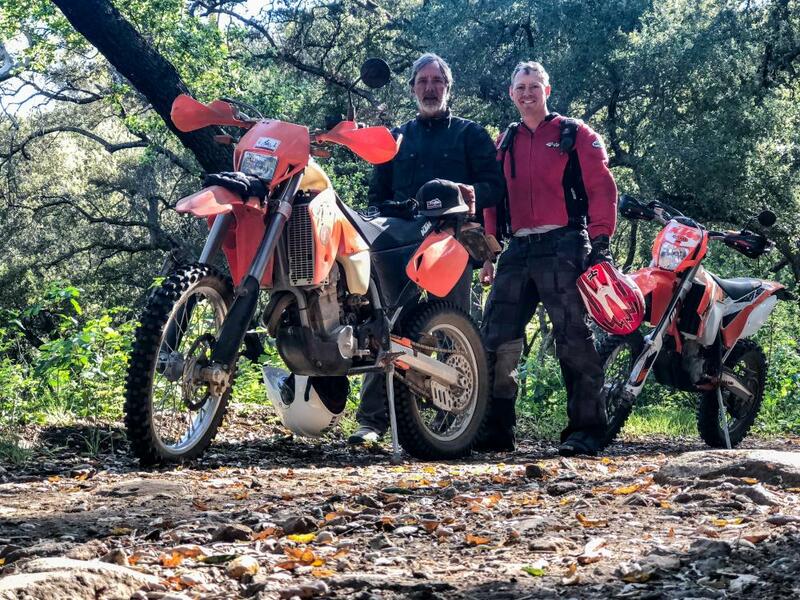 I see this move by Honda as a big win for those of us that haul our "plated bikes" to the trail head as if they were green stickered bikes; only slabbing to reach the next trail. This should increase our numbers of "keep our trails open voting members" by the dyed-in-the-wool" Japanese Rules Enthusiasts that want a competitive dirt bike pretty much right out of the box. The Japanese manufactures will no doubt will keep a very close eye on Honda's results into this market, and be sure that there are street legal KX's, RM's, YZ's on the drawing board right now. Finally there are becoming more options to the (pretty close to race ready) dual sport world that can expand our "dirt bike workaround" of what trails are "legal" to ride on! 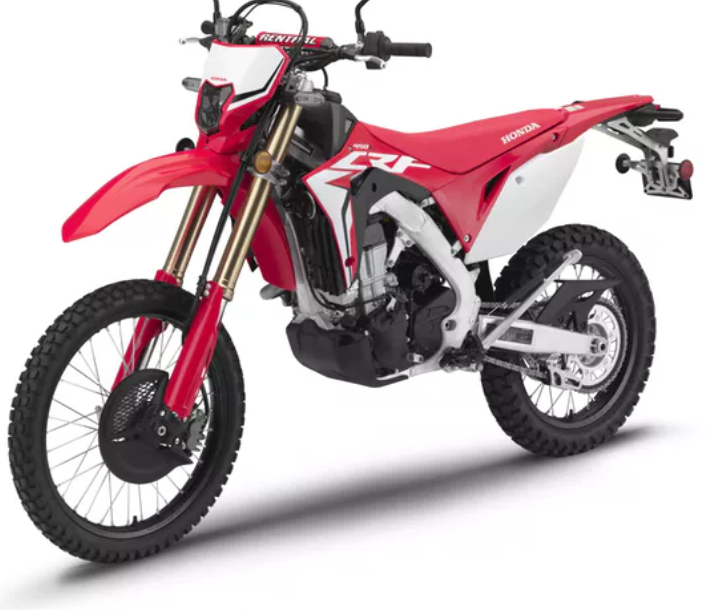 Was at fun bike yesterday and my bike will be there first week in September, hope it as good as it sounds, I never buy anything sight unseen but Honda has never let me down before in MX bikes. I trailer my plated bike to the trail so I don't have to change tires and oil all the time. PTA and esplensive. Only reasons. Congratulations! 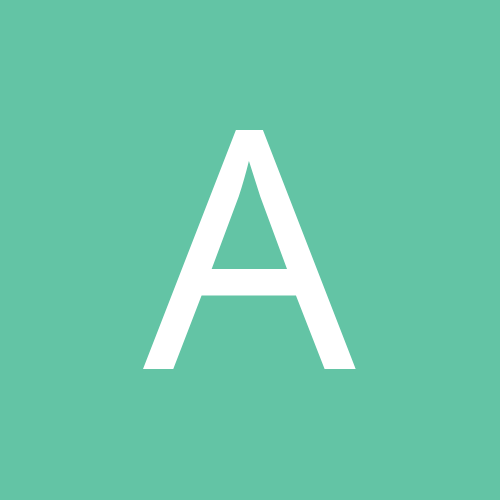 Will be interested in the mods that you install. I’m still riding my 02 520, here with Jeff on his 2016 500. I put 40,0000 miles on my all original HRC hopup xr400r adv riding, commuting, supermoto flogging. I was simply impressed with how that bike took it. "Chuck Miller: “Five years ago I was in product planning and we knew that we wanted this machine. We knew that we had a great X platform and really we wanted an X with a plate on it. But, Honda’s standards are so different between a competition machine, a performance machine versus a street-legal machine. Street legal bikes have sound regulations and exhaust emissions, as well as certain light issues, such as a light has to go out so far. Part of it was helping the engineers understand that we really want this competition machine to just be street legal. It was difficult for Honda to understand both of those in the same bike. Because our street standards are so high for durability, so to have them understand that we want a performance machine with that same durability it has been a challenge. Over the last few years they’ve been able to overcome some of the sound and emissions issues with the performance of the machine and some of the parts they put on it. What’s interesting is that we’ve been talking about the crossover between the L and adventure bike riding. Because this is adventure bike too, in a lot of ways. It’s just a more aggressive adventure bike. I can already see soft bags and some racks for the back, that the aftermarket will take care of and you’ll see people riding these bikes all over the country.”"
I would hate to buy one and have to replace a titanium tank with a desert tank for some range. I wonder what real range will be. I would hate to buy one of theses Hondas and realize that it only makes 25 horse power and the torque ratings are just as dismal... I wonder if it might me nice to have 63 HP in the same class of bike like some of the other manufactures provide in a street legal format? I would prefer owning a bike that I would not have to remove/replace 50% of the stock parts to make it ridable. "Supposed Honda reliability" at such a sacrifice does not make sense to me. I'm glad that the DS market is gaining a foothold with a non European manufacturer. A modern 450cc engine with twenty five horse power though? Come on?! A modern 450cc engine with twenty five horse power though? Come on? !